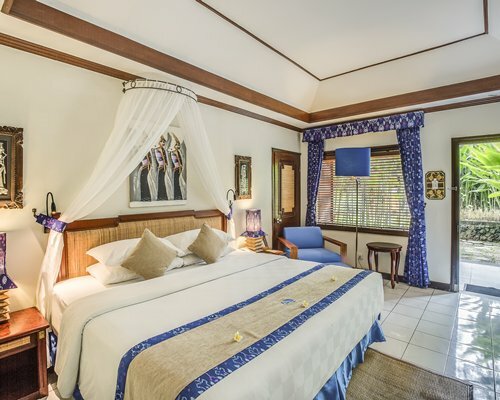 Located in Candidasa on Bali's eastern coast, ideally situated away from the crowds, on the most beautiful beach, offering the majesty of nature with unique panorama, you will find your peaceful holiday destination at the resort. Activity lovers will enjoy mountain trekking and water sports. 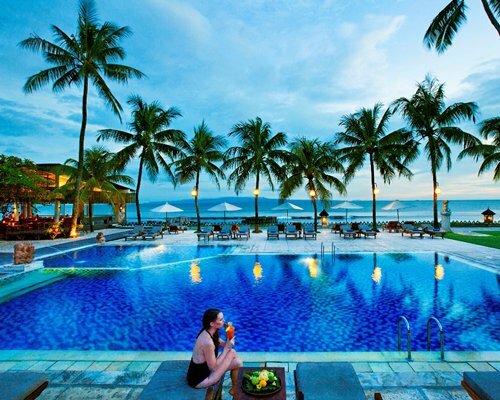 Swimmers may choose between the blue waters of the ocean and the relaxing by the swimming pool. One could just relax and enjoy the peace and tranquility of this hidden paradise. The resort is good for snorkeling and fishing. Members of Royal Vacation Club receive points each year. They can use their points to make reservations at any Royal Vacation Club resort each year. Contact us for a current list of Royal Vacation Club Resorts and points values.